I recently got the Attention Seeker 10 piece essential set from Spectrum. I discovered these brushes via Instagram! They are very beautiful and look extremely soft! I had to get my hands on some. I loved the look of the pink, blue and purple together! Can anyone resist these brushes? This set includes essential face, eye and lip brushes! 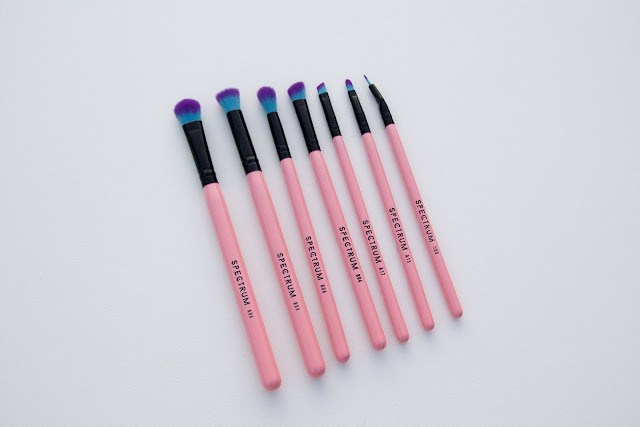 These brushes are vegan and cruelty free, they are made out of high quality synthetic hair. These brushes are very soft and do a great job at applying makeup! This set is $70.36 AUD It can be bought straight from the Spectrum site! I also found these on Beauty Bay. This set won an award in the Cosmopolitan Beauty Awards in 2016. They are amazing brushes! I love all three face brushes that are in this set and the bigger eye brushes are stunning! I don't use the lip brush or eyeliner brush often. However, they are still great quality and do a lovely job. My two favourite brushes from this set are the B01 Flat Top Buffer! This is amazing for foundation or blending out bronzer and blush if you have applied a bit to much! I also love the B06 Tall Tapered Blender. This brush is so lovely for blending out eyeshadows! If you just want eyeshadow brushes, they do sell a set that comes with just eye brushes. There is also a set that has only face brushes in it! If you are looking for a set with more than 10 brushes they have an Ultimate 30 piece set that is available! This has every brush you could ever need in it! They really have a brush set for everyone. If you are not a fan of this brush style or the bright colours, there are many different styles to chose from! 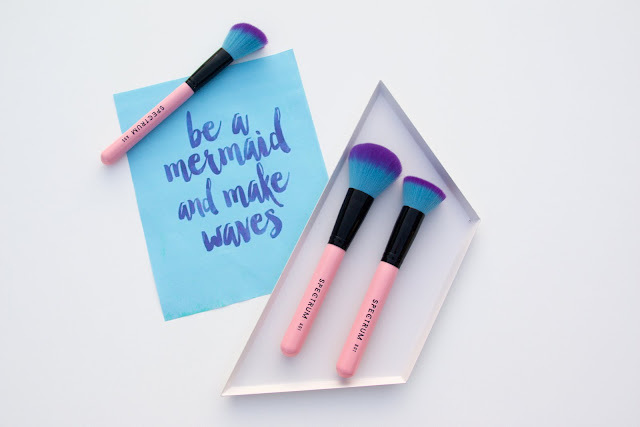 I highly recommend giving these brushes a go! They are so beautiful and so soft! These brushes have quickly become some of my favorites! For the quality of brushes you are getting they are so worth the price! I can not get over how pretty they are! 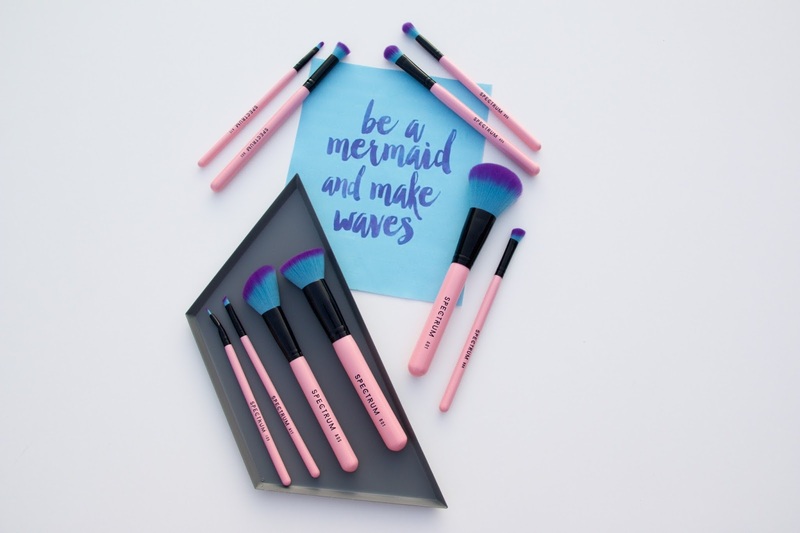 Have you tried these brushes before? 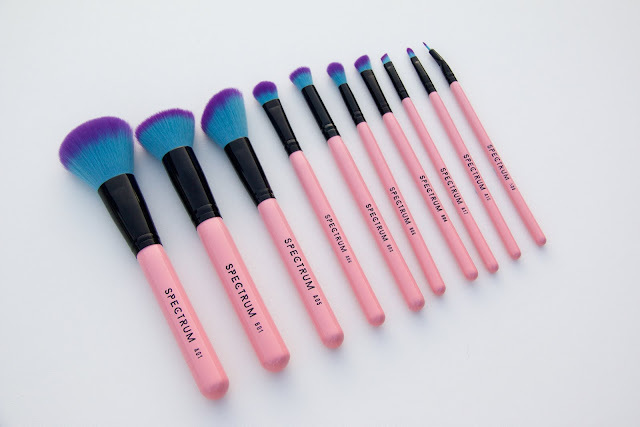 What is your favourite brush from this set? *This post contains a gifted item. Please see my disclaimer page for more information.